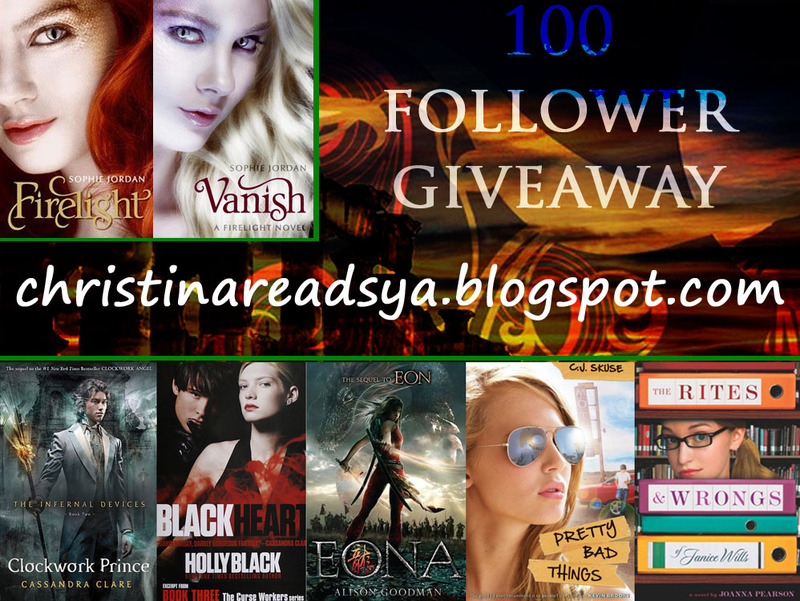 Christina Reads YA: 100 Follower Giveaway - 2 Prize Packs!! 100 Follower Giveaway - 2 Prize Packs!! YAY! You guys are awesome!! As a thanks for following me, I'm offering up two prize packs. If you've wanted to read the series and haven't had a chance to pick up a copy, here's your chance! 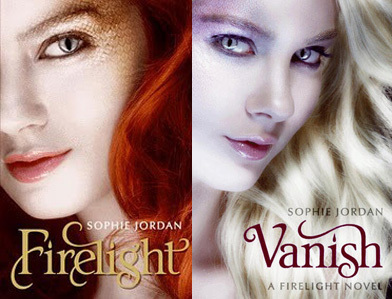 The Firelight copy is an extra, untouched hardcover that I received from the RT Convention in addition to the ARC of Vanish. I hope whoever wins enjoys these novels as much as I did! Sounds good? I hope so :). -You must be a follower of my blog to enter!! -You can earn extra entries via twitter & blogging. See the form below. 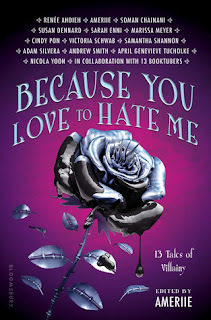 If I somehow get to 200 followers before July 26th, I will also host a celebratory giveaway for my Wolfsbane ARC. Thanks (again) for participating & for following! Thanks for the awesome giveaway :D I want to read Vanish soooooo badly lol XD Congrats on 100 followers! Oh! Thanks so much for this giveaway! Awesome prize packs. Thanks for the wonderfully scrumptious prizes too! Grats on reaching 100 followers!! Great giveaway! congrats! Thanks for the giveaway, I have been dying to read the firelight novels!! you were at RT in Los Angeles? Me tooo! Wasn't it such an awesome convention? can't believe you got VANISH, totally jealous! Thanks so much for doing this giveaway, though :) congrats on 100 followers! I hope imy2 lucky enough to win!!! i've been trying to win a giveaway for the longest! Thanks for the great giveaway and congrats on 100 followers!! Congrats on 100! Awesome giveaway! I filled in form but the link i gave for actual blog post was wrong. Want to win so bad. And thank you SO MUCH for making this international! You are awesome! Congrats!! :o) Thanks for the giveaway! Congratulations on reaching 100 followers! Though now they're over 250! :) Thank you so much for the chance to win some really great sounding books!